Free, outdoor public performances will be held June 20-24, starting at 8 p.m., weather permitting. Jadon Jenkins as Othello and Sydney Powell as Desdemona. Mistrust, violence and intrigue highlight the classic tale of “Othello,” on stage at Tidewater Community College’s 22nd Shakespeare in the Grove. A sneak peek of “Othello” on June 6. This is the third production at the new outdoor “grove” platform, located behind the Pass Building on TCC’s Chesapeake Campus, 1428 Cedar Road. A cast and crew of more than 20 student and veteran actors and 15 technicians will bring the Bard’s tragedy to life. 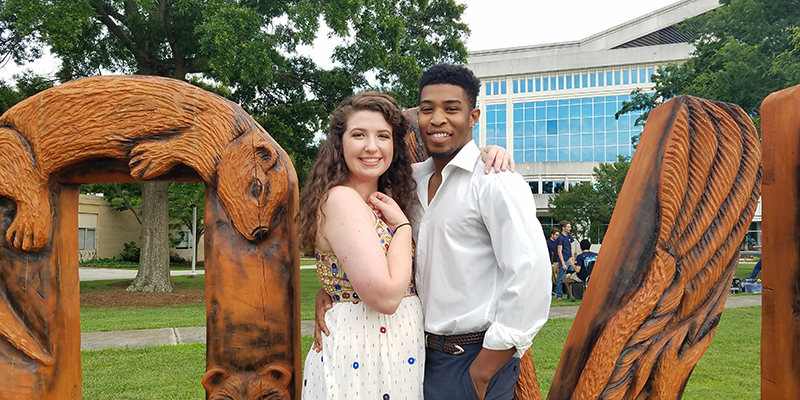 TCC’s version of the play is set at the end of the Civil War and Othello, the captain of the 54th Massachusetts Regiment, has secretly married Desdemona, the daughter of a prominent senator. When the senator learns the truth, he promptly disowns her. 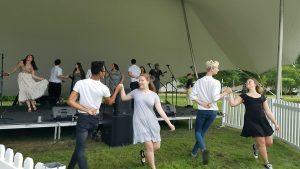 TCC and the Chesapeake Fine Arts Commission sponsor Shakespeare in the Grove. Guests are encouraged to bring lawn chairs, blankets and a picnic dinner. Insect repellent is also recommended. For more information, contact Matthew Gorris at mgorris@tcc.edu or 757-822-5219.